China Stainless Steel Wire manufacturer, Stainless Wire Rope, Wire Rope supplier - Jiangsu Xinglong Metal Products Co., Ltd. Stainless Steel Wire, Stainless Wire Rope, Steel Cable manufacturer / supplier in China, offering Jumpingrope, Jumping Rope, Coated PVC Steel Wire Rope with Ce Certificates and so on. 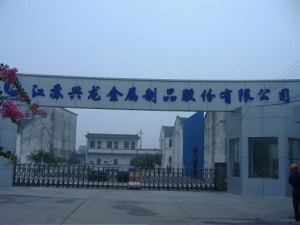 Our company was founded in July, 1985. Now, There are 420 employees, Factory covers 86, 500M2, The capital has reached USD6, 500, 000. Since 1985, We are dealing with Steel wire rope and wire rope assemblies all along, So We have very profuse experience for producing and selling in this field. June, 2002, We obtained the qualification of Import and Export.